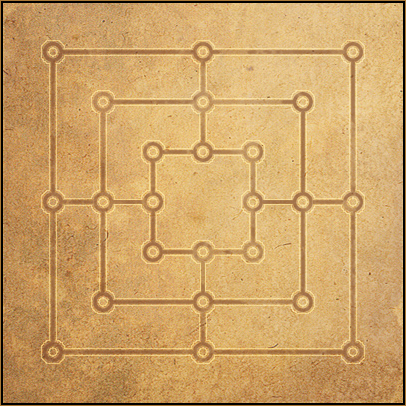 This is a map created for strategy board game, also known as Nine Man Morris, Mulle, Mills, Morelles, etc. You can use any of my Art for your products for almost any purpose: commercial, educational and personal. It’s a great way to make your game without spending a lot of money on Game Art. When you finish a game, I’d love to see it! You can use my Contact form to send me a link to your game or app.